In the spirit of inclusive excellence, Saint Mary’s College is proud to present the Second Annual 44 Days Honoring Black History. A nod to President Barack Obama, the nation's 44th commander in chief and first African American president, the 44 Days initiative highlights the rich contributions of Black culture to the nation, the world, and the SMC campus. Beginning in mid-January, 44 Days features signature programs that echo the theme of “Strength in Community,” which reflects the African American historical legacy of people of color joining together to resist oppression and bring about necessary change in our society. 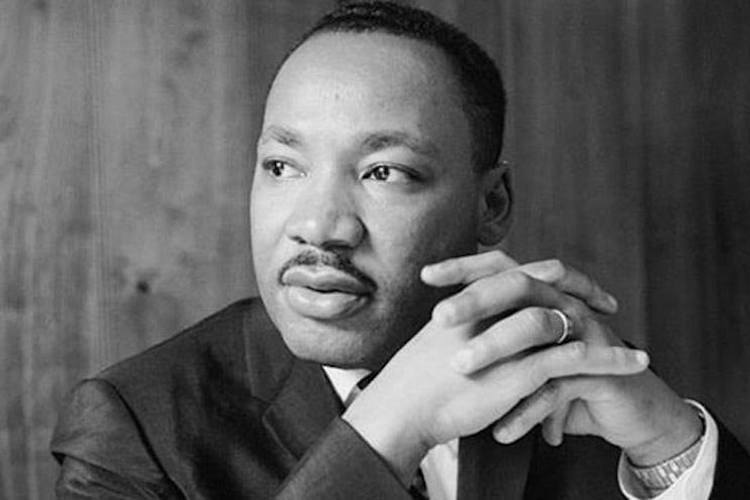 44 Days begins on Sunday, January 20, with a Special Mass in the Saint Mary's Chapel to celebrate the legacy of Dr. Martin Luther King Jr. and runs throughout the Black History month of February. The cultural heritage series features a Black Convocation breakfast with Saint Mary’s President, James Donahue, and engaging student-centered events and workshops. The signature events of 44 Days include the February 25 appearance by Bree Newsome, a noted artist, community organizer, and advocate for racial justice. Newsome gained national attention in 2015 when she climbed the flagpole in front of the South Carolina Capitol building and removed a Confederate battle flag that was originally raised in 1961 as a white supremacist statement of opposition to the Civil Rights Movement and lunch counter sit-ins occurring at the time. Special Mass Honoring the Reverend Martin Luther King Jr.
January 20, 2019, 8 p.m. | SMC Chapel. A special Mass honoring Martin Luther King Jr., featuring music by Sociology Professor D. Mark Wilson. February 16, 8:30 a.m.–1 p.m. | Hagerty Lounge. 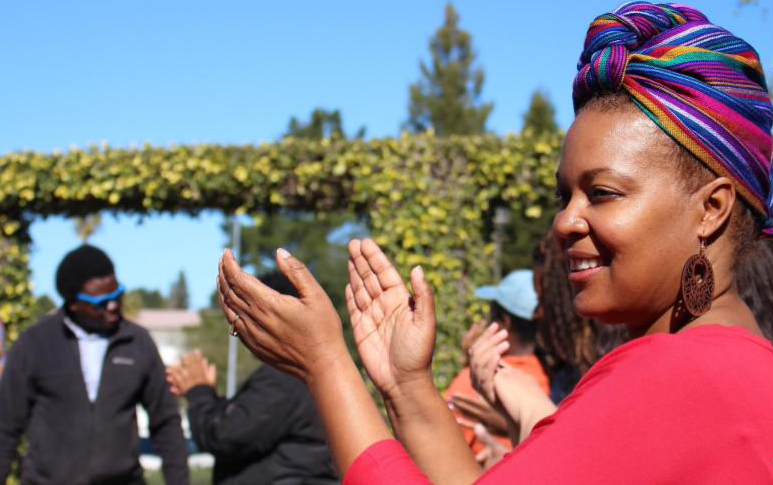 Black students, staff, and faculty celebrate the successes of the black community at SMC. February 25, 7–9 p.m. | Soda Center. Newsome established herself as a touchstone of empowerment for disenfranchised people around the world when she tore down the Confederate flag in front of the South Carolina statehouse in 2015. Dr. Taisha Caldwell-Harvey: To Be Black and Excellent, Without Sacrificing Everything! "The Arts, Empathy, and Racial Justice: Between Whatis and What is Possible"
Saint Mary’s continues to shape and expand its dedication to equity and inclusion by presenting the Second Annual 44 Days Honoring Black History. Building on an extremely powerful 2018 inaugural celebration that launched new traditions, this year’s collection of events expands to feature the legacies generated, beginning with a Mass on January 20 to commemorate the life and work of Dr. Martin Luther King Jr., the Black Convocation breakfast with Saint Mary’s President, James Donahue, and several engaging student-centered events and workshops throughout the Black History month of February. Our Lasallian mission requires us to embrace all elements of the past to ensure we establish a safe and precious space for all in our community to thrive—and that we do not repeat tragic mistakes with enduring consequences. 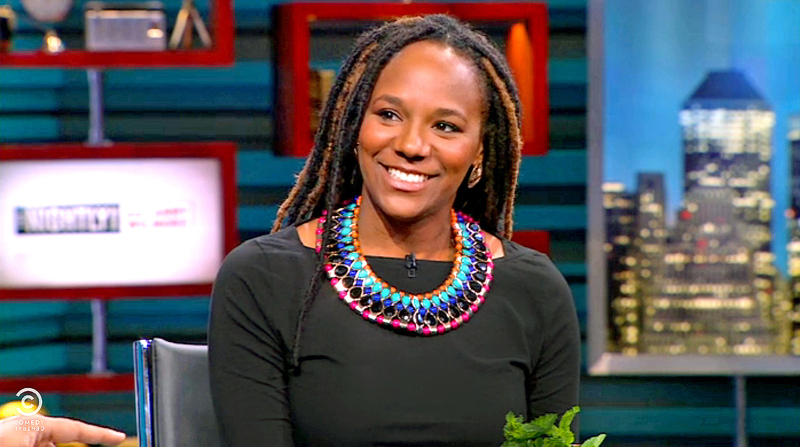 A robust calendar of events will conclude with an appearance by nationally recognized activist and filmmaker Bree Newsome on February 25. Ms. Newsome bravely removed the Confederate flag from the South Carolina State House grounds in 2015, drawing attention to the campaign to eradicate the many glorified symbols that were not remnants of Civil War history, but instead part of a directed, racist backlash as the Civil Rights Movement gained momentum in the 1950s and 1960s. As with many national struggles, societal change is often rooted within the Black community—and it is our hope that featuring courageous actors like Ms. Newsome will motivate each of us to stand up for truth and justice. As the College’s Senior Diversity Officer, I am tremendously appreciative of the fine work of the College Committee for Inclusive Excellence, its 44 Days and Black Lives Matter subcommittees, and all those in our community who worked assiduously on this Second Annual 44 Days series of events. Please visit our 44 Days Honoring Black History website for a full accounting of events.